Just because you are camping does not mean that you have to go without the many creature comforts that make living easier. Many kitchen items will help make cooking simpler and more enjoyable. 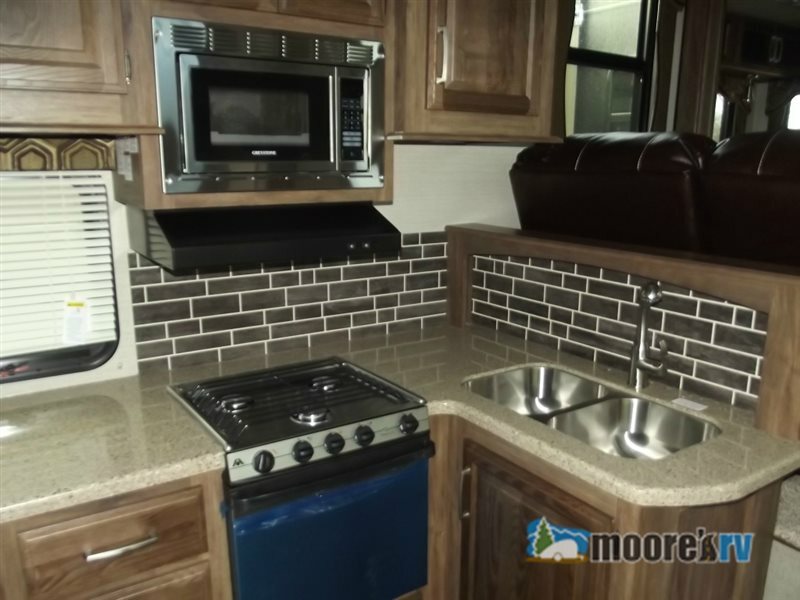 However, finding a place to put all of these items will reduce the amount of space you have in your RV cabinets, making it difficult to fit everything else that you might need. Optimize Your Kitchen Space with Storage Hacks! But have no fear! There are many simple storage hacks to increase what you can bring and utilize space that would otherwise be unusable while still keeping your kitchen organized. 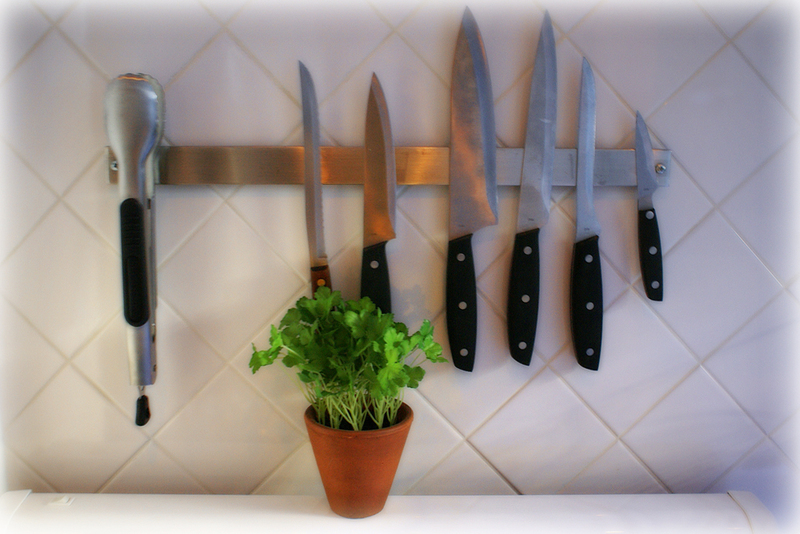 Wall Mounted Magnetic Strips: Every kitchen needs spices and cutting knives, and both of these can take up a lot of counter or cabinet space. By attaching magnetic strips to the wall of the kitchen, these items will not only be in an out-of-the-way location, but they will also be easy to reach whenever you need to use them. You can even find spice containers that are metal and have a glass top to allow you to easily identify the spices inside each container. Mounted Magnetic Strips are Perfect for Storing Items Without Taking up Cabinet or Drawer Space. Dish Cradles: Dishes will take up a lot of cabinet real estate, especially if you want to bring enough to not have to wash them after every meal. With dish cradles, instead of stacking your plates vertically, you can set them up on their side and stack them horizontally to greatly reduce the space needed for them. Nesting Bowls and Spoons: Having items that can fit inside one another is perfect for conserving storage space within your camper. No matter what you cook, you will need measuring spoons and bowls to portion out the ingredients. Luckily, you can use nesting bowls and spoons that allow the smaller sizes to fit perfectly in the larger ones for perfect storage when not in use. Use the Inside of Cabinet Doors: The inside of the cabinet doors are spaces that, unless augmented, will be unusable for storage purposes. However, with just the simple addition of an over-the-door waste basket, you can have a spot for your trash without having a waste can taking up floor space. Hooks: No storage hack list would be complete without hooks. Hooks can be attached to walls or inside cabinets to give an easy spot for hanging kitchen tools like spatulas or mixing spoons. With hooks, you can use wall space that would ordinarily be empty and leave the drawer space for those items that cannot be hung. Having an organized and fully stocked kitchen is so simple if you just implement the right kitchen storage hacks. With each of these hacks, you will make your life easier, so you can relax and enjoy camping life. If you are ready to take on life on the road, contact us at Moore’s RV to get more information about RV living, or stop on by our location to find the RV that is perfect for you!